This dungeon replaces the original three dungeons that led to Summoner's Hall in the old frontiers zones. Entrances to the Passage of Conflict may be found in Jamtland Mountains, Pennine Mountains, and Breifine. 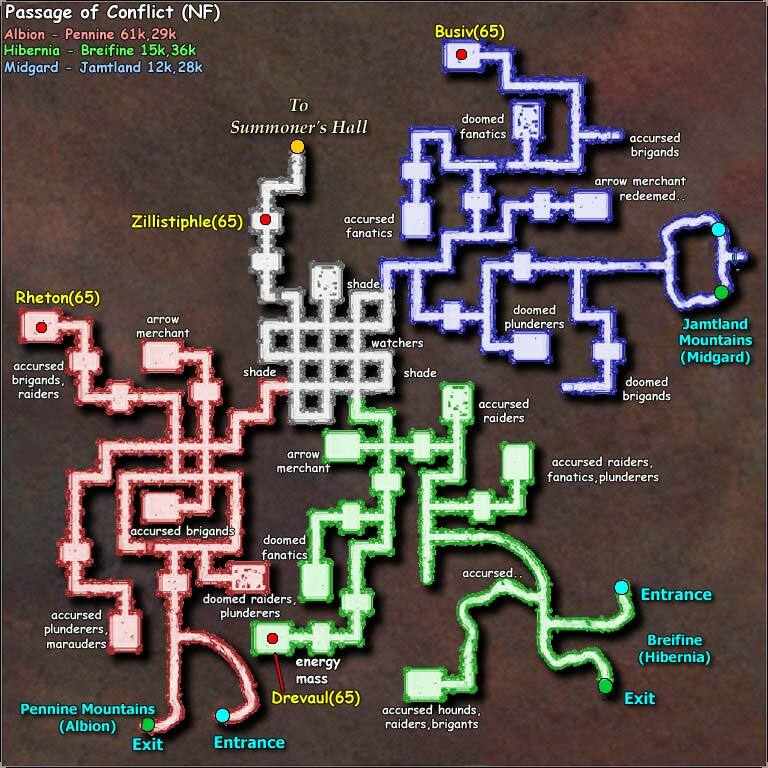 - The new RvR Dungeon, "Passage of Conflict", is set up so that you cannot zone out the same way you zoned in. You will need to run through a little loop of dungeon and exit through the one way exit. This is to keep people from playing silly games with their immunity timer. - The sages of each Realm have discovered the means to protect their people from the Summoner's wards located at the entrance within their Frontiers. Wards located at other entrances within the Passage of Conflict and the Summoner's Hall remain dangerous to those who would trespass. Please note that this change is not in effect on Mordred.